The Council has Spoken 091210 | Virginia Right! The Watcher on Sep 12 2010 at 8:00 am | Filed under: The Council Has Spoken! There’s a snapshot of that day. I arrived home early from work. My wife and newborn daughter were sitting out front on the sun drenched lawn on a beautiful, mild autumn day. That snapshot was the picture of serenity and joy. But it was also a facade. I left work early that day to be with my wife. But it was because she knew that the World Trade Center was on fire (that’s all she knew when she called) me and no one could reach her brother. (Cell phones were overloaded that day in the New York area.) My brother-in-law – along with the rest of his company – escaped from the 51st floor of the north tower. But we didn’t know that. Though my mother-in-law got through to him after he exited the building, no one could ascertain his whereabouts again until he had finally gotten back to New Jersey. I came home to calm my wife. 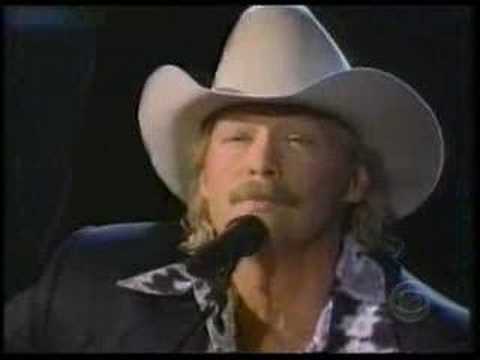 There are two lines from Alan Jackson’s “Where were you when the world stopped turning” that stick with me. That day, I95 was strangely empty. The trip home seemed surreal. I was listening to the news reports. I heard when one tower crashed. I think I was home before the second did. My brother-in-law said that the stairwells were extremely hot. The firemen inside the towers smashed open vending machines to give drinks to the people fleeing the buildings. He got a drink from a firefighter on (about) the 20th floor. Having shepherded hundreds to safety, 45 minutes or so later, that hero was dead. For some sense of my brother-in-law’s day – or at least his escape from Manhattan read Ron Coleman’s recollection: Parts 1, 2, 3, 4 and 5. If there was one good thing to come out of that day, it was the 72 Virginians joke. Here at the Watcher’s Council we have only two Virginians and they are our most recent additions. Now Snapped Shot has joined VA Right as our two most most recent council winners. … you can’t spell “Jerusalem” without USA, baby! I can’t do it justice, so just click on over to our winner. For the third time since taking over as Watcher, Iowahawk has won. This week it’sÂ Barack, Can we Talk?, IowahawkÂ ’s portrayal ofÂ a breakup note from the American people to Barack Obama. Come… comeÂ on Barack, please don’t be that way. And don’t act so surprised, I mean you must have at least seen some of the approval rating signs. Tea Party? No, Tea Party didn’t put me up to this. Yeah, sure I’ve see him around the neighborhood. I mean, what am I supposed to do while you’re off vacationing with your friends? Sit around this place without a job and watch MSNBC? No, it’s platonic. So far. And for your information,Â Tea isn’t the retarded Nazi racist loser your friends are always painting him to be. And guess what? He listens to me and seems to like me for what I am, and doesn’t expect me to wear that stupid complicated Scandinavian nurse outfit like you gave me for Christmas. By the way, the charge card bill from Frederick’s of Stockholm just arrived yesterday. $1 trillion, Barack? Really? First place with 2 2/3 votes! – Snapped Shot –Happy Al-Quds Day! Visit the Watcher Council site here. ← EUROPEANS ARE GETTING WISE TO THE EU!